A study limitation is that the 8-week treatment duration may be inadequate to confirm if a decrease in pruritus will lead to significant and clinically relevant resolution of PN lesions. The drug serlopitant, a selective neurokinin 1 receptor (N₁KR) antagonist has therapeutic potential in the treatment of pruritus in individuals with treatment-refractory prurigo nodularis (PN). These findings support the potential of N₁KR antagonism to disrupt itch signaling and decrease the intensity of pruritus, according to clinical trial results recently published in the Journal of the American Academy of Dermatology. Investigators assessed the safety and efficacy of the N₁KR antagonist serlopitant for treatment of pruritus in PN in a phase 2, randomized double-blind, placebo-controlled, multicenter clinical trial in Germany by recruiting patients age 18 to 80 years with treatment-refractory PN and a visual analog scale (VAS) pruritus score of ≥7 cm. 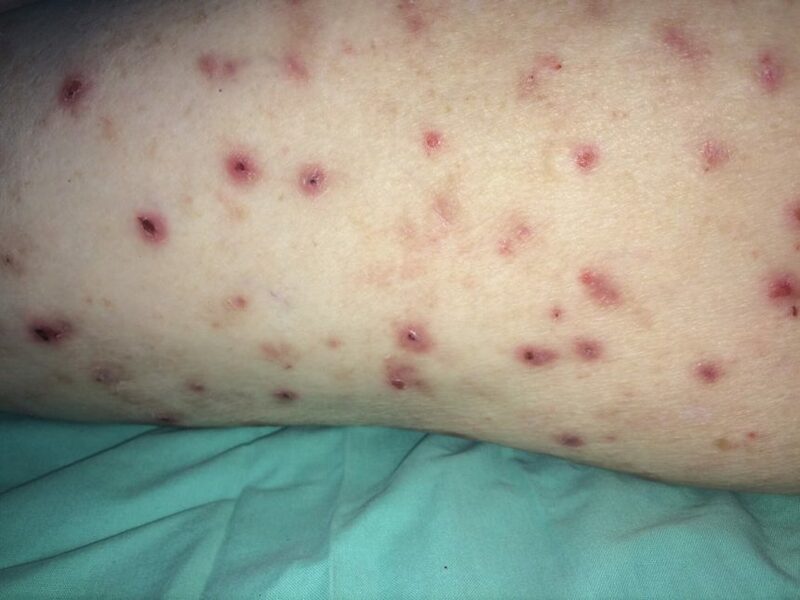 The exclusion criteria were chronic pruritus because of conditions other than PN and use of systemic antipruritic therapies, immunosuppressants, phototherapy, and medications that cause pruritus. After a screening period of ≥4 weeks, 128 patients were randomly assigned to receive 5 mg serlopitant (n=64) or placebo (n=63) orally once daily for 8 weeks. The primary end point was a change in average itch VAS score at weeks 4 and 8. Safety end points were adverse events (AEs), treatment-emergent AEs, serious AEs, and clinical laboratory evaluations. The average itch VAS scores significantly improved with serlopitant vs placebo at weeks 4 and 8; the least squares mean difference (serlopitant minus placebo) was −1 at week 4 (P =.025) and −1.7 at week 8 (P <.001). The least squares mean difference between serlopitant and placebo reached statistical significance at week 2 (−0.9; P =.011). Both groups showed improvement in the prurigo activity score, but the serlopitant group appeared to show a proportionately higher level of improvement in the percentage of healed excoriations of PN lesions from baseline to week 8. The most frequently reported treatment-emergent AEs in the serlopitant group were nasopharyngitis (17.2%), diarrhea (10.9%), and fatigue (9.4%). The primary limitation of this study is that the 8-week treatment duration may be insufficient to determine if the reductions in pruritus will lead to substantial and clinically relevant resolution of PN lesions. Also, the effects of serlopitant could not be compared with those of other treatments for PN. Currently, there is no approved therapy for pruritus in PN, and individuals often experience pruritus that is refractory to commonly used treatments. The results of this clinical trial support the safety, tolerability, and efficacy of N₁KR antagonists such as serlopitant as a viable option in the treatment of pruritus in PN. Multiple authors declare associations with the pharmaceutical industry. Please see original reference for authors’ full disclosures.